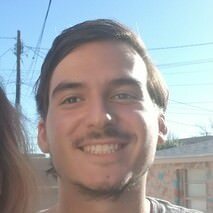 My name is Edin Sabic, and I am a 3rd year graduate student in the Experimental Psychology program at New Mexico State University. I hold a Master’s in Experimental Psychology and am currently working towards a Doctorate. My research focuses on user experience, system design, and human-computer interaction. My main process can be summarized as follows: I investigate how a system works, and then I attempt to improve it through a human-centered approach. A bit about me, I’m from Iowa and enjoy watching classic comedies, keeping up with my English football (fan of Arsenal FC), and am fascinated by languages, whether they be natural (German, Bosnian/Croatian) or programming (Python, R, Matlab) languages. Along the menu feel free to look up my CV, learn a little about me, take a look at my portfolio, or shoot me a message.